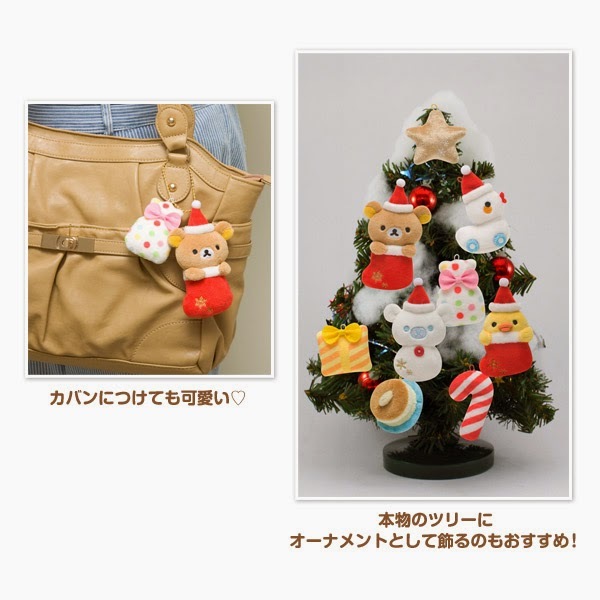 The much anticipated Rilakkuma Christmas series is now out! Previously, Rilakkuma, Korilakkuma and Kiiroitori wore Christmas themed suits and they were released as S sized plush. 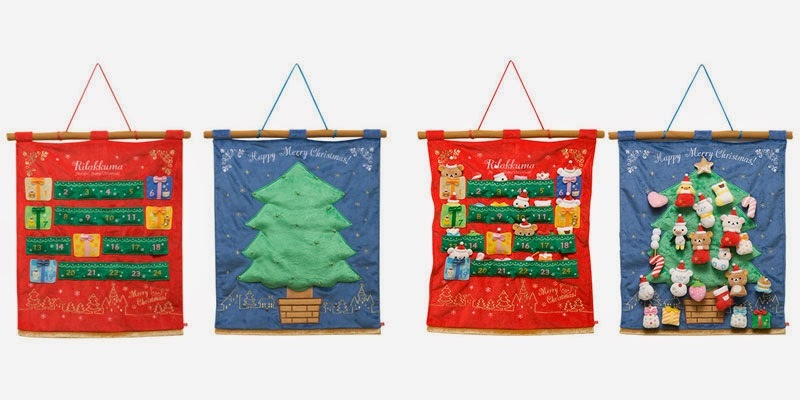 However, for 2014's Christmas series, San-X came up with a very different merchandise.An embroidered hanging advent calendar and Christmas tree tapestry. This is to be sold as a set together with 24 mini plush toys. Among these mini plush toys, there are gifts, candy canes, pancakes and also the mini Rilakkuma and friends. These toys are mobile and you can place them anywhere on the calendar or tree. 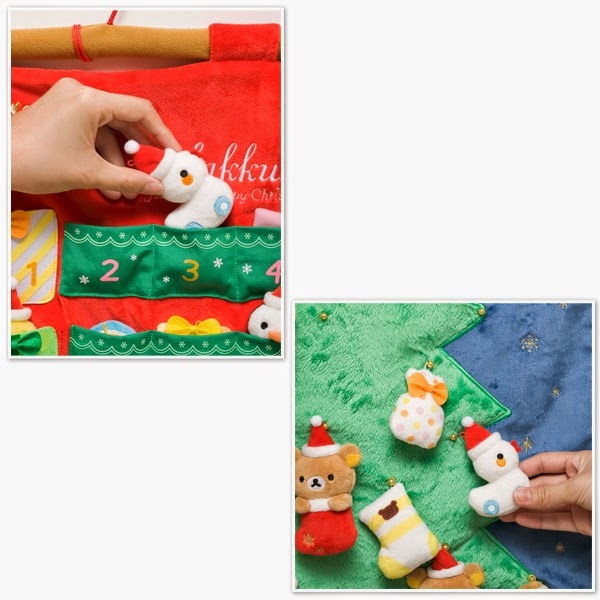 The advent calendar is used to store 24 different items (or in this case, mini plushies) in 24 pockets to countdown to the 25th day, which is Christmas day. So each day, you are supposed to remove one item from the pockets and hang the mini plush on the tree. Once the items are fully transferred over, you have a fully decorated tree on Christmas day! Isn't it fun to do it? To make things even more interesting, this set also comes with ball chain that allows you to string the toys you like and customize your own Christmas themed hanging charm! You can hang them on your school bag, handbag or even laptop bag. Since they comes with a string loop, San-X also showed that you can use them on normal Christmas tree and hang them together with other Christmas ornaments! If you have a rather large tree, I would suggest that you place some of your S size plushies into socks that you can get from DAISO for 2 bucks each and hang them! 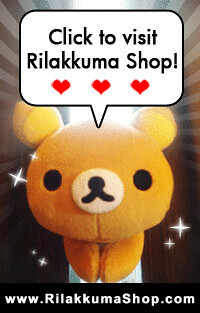 You can also make use of this festive season to display your full collection of Rilakkuma Christmas plushies in your living room. We really can't wait to get these hanging toys for this Christmas!